It is important to have highly skilled technicians service your brakes. At Capistrano Ford, we have the right parts, tools and certified-trained technicians to take care of your every need. Your vehicle’s brakes are one of its most important safety features. There are a number of components that make up your car’s braking system, including brake rotors, brake pads, calipers and the master cylinder. It is important to have all of these components checked regularly so you never have to worry about whether your vehicle will be able to stop in time. All of today’s vehicles also use an anti-lock brake system to help brake more effectively during a panic stop, and Capistrano Ford can diagnose and repair any issues with that system. 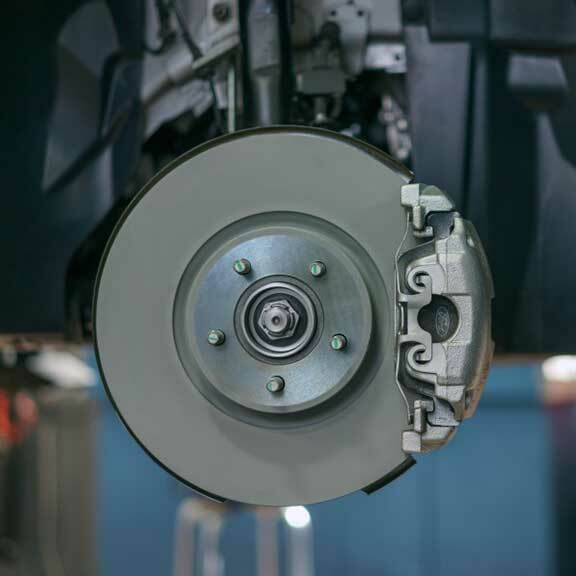 Our San Juan Capistrano brake service experts know your vehicle’s braking system inside out. We have stock brake pads, brake shoes, rotors, drums and more. We also offer Brake Specials and coupons for savings. Bring in your vehicle for service if your brakes are squealing, the brake pedal goes to the floor or if you feel vibrations when braking. Contact us for a free estimate and affordable brake service in San Juan Capistrano, CA.